Over the summer recess lots of work had been put into to getting a Provincial rugby team together and after a brilliant response from over 50 brethren who have shown interest in playing for the Province, it was decided to push ahead and petition the Rugby Football Union (RFU) to become an official team. On 2 July the Lancashire RFU board granted the petition and made the West Lancashire Freemasons Rugby Football Club an official team. It was six weeks later, on a cloudy night in the Douglas Valley, that several of the brethren met together for the first time to take part in the very first training session of the newly formed West Lancashire Freemasons RFC. The team met at 6:30 pm on the second Tuesday of the month and the session was attended by 11 West Lancashire brethren. The group consisted of nine players, a coach and one supporter. Brethren had come from as far afield as Widnes and Fleetwood to attend this inaugural training session. After brief introductions between the brethren the chairman and founder of the club Garry Hacking, advised the players that the session was now in the hands of the coach Phil Marrow. Training balls and cones were provided by both Phil Marrow and MW Marine. Phil started the session with some light warm ups and shortly afterwards he split the groups down to practice passing and to get used to communicating on the field. Afterwards small groups were formed, and Phil brought in his son Matty into the session, to add some speed to the group and get heart rates up as they played a small game of ‘Tick & Pass’ with some instruction given on the basics. The next training session will be held on 11 September and it is open to all West Lancashire Freemasons. The team is now looking to obtain more funding/sponsorship to enable them to set themselves up and play their first fixture against another Masonic team. Anyone interested in joining the team should click this link to register their interest. 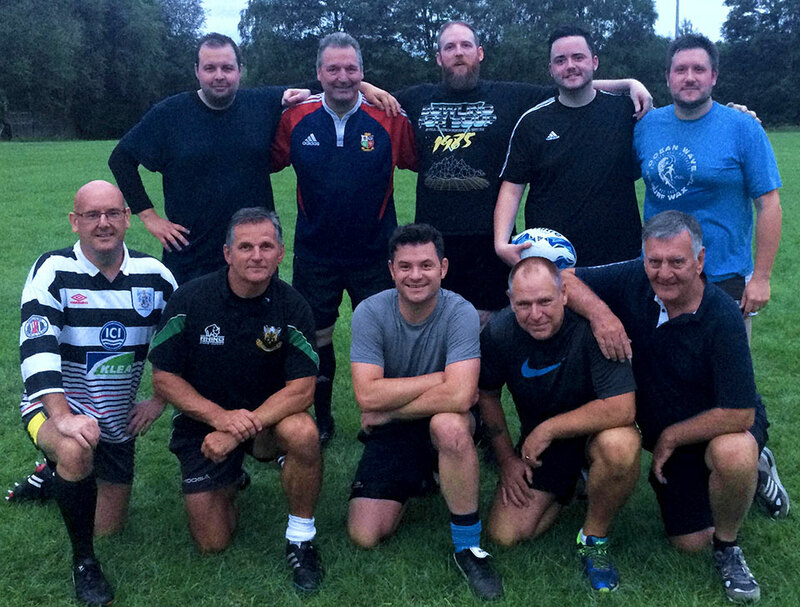 West Lancashire Freemasons RFC at their first training session.